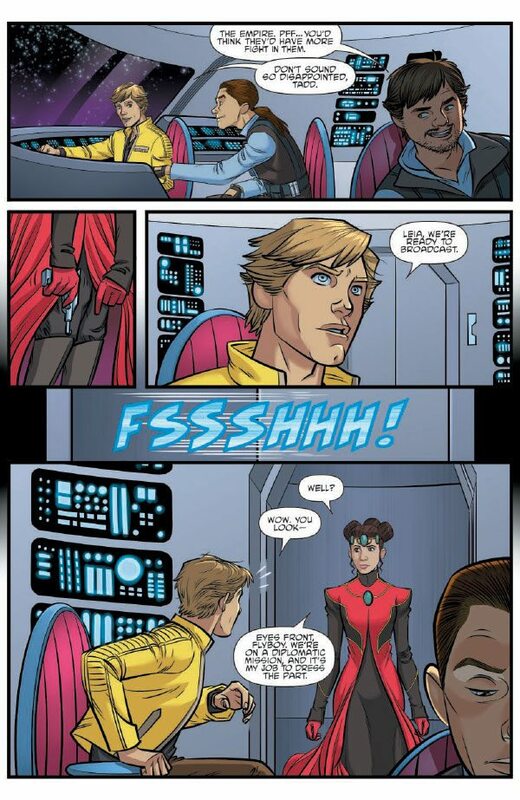 The fourth issue of Star Wars Adventure does exactly what we needed it to do. It gives us a quality story of Luke Skywalker and Princess Leia. It takes place right after the destruction of the Death Star. The siblings are on a mission for information. Leia has to use her softer/elegant side to get what she needs for the rebellion in this story. One of the coolest moment about this story is the conversations between Luke and a couple of rebels helping with the mission. The book’s first story gives us nice cliffhanger for the next issue. Eric Jones’s artwork is solid and he does a great job of getting the likenesses of Luke and Leia right for this kid friendly book. The back story that is featured in each of the comics was decent this month too. I wasn’t all that excited about the art but the morality of the story and how it actually relates to other Star Wars events make it worth the read. With Star Wars: The Last Jedi on the horizon it’s nice to enjoy these short tales to get us in the mood for the theatrical event.